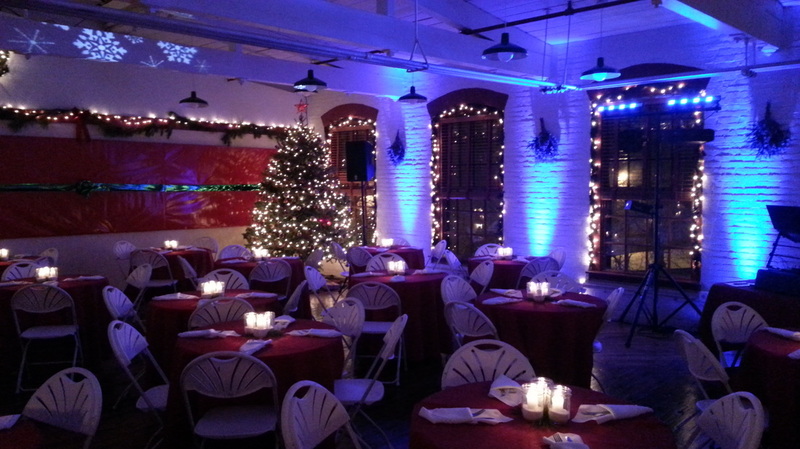 LED Up Lighting - LED color mixing technology allows a nearly unlimited color palette. 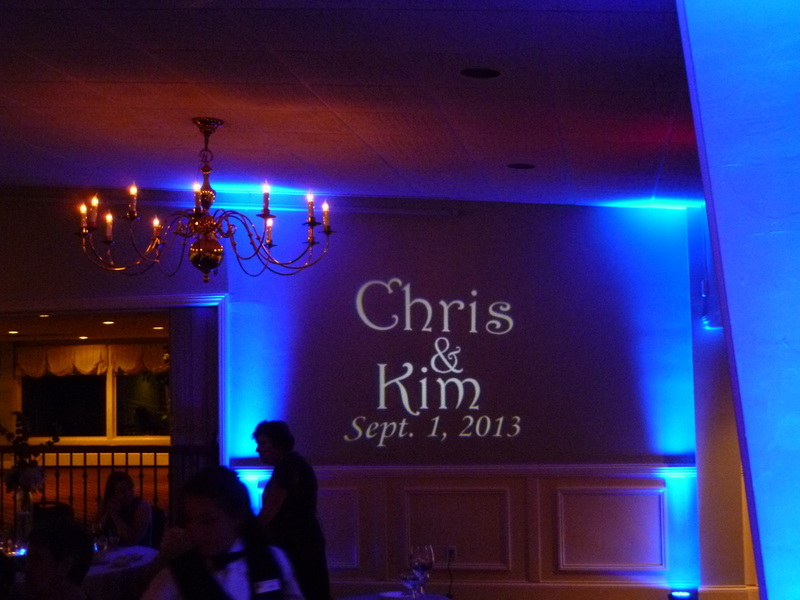 We can match the theme for your wedding, event or corporate colors. 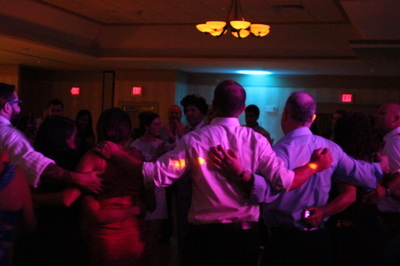 Have them all the same color or alternate colors, or even use them to define spaces within a venue. 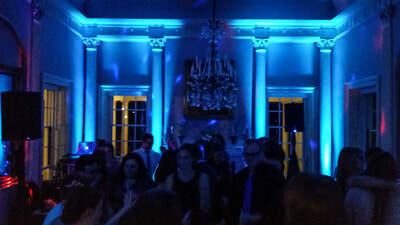 Dance Floor Lighting - Computer controlled dance floor lighting to really liven up the party! 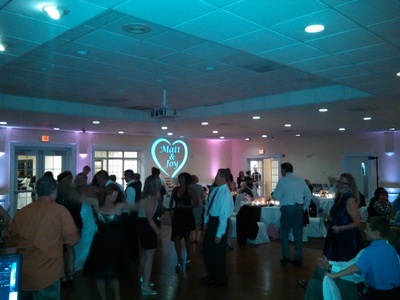 This is not your "plug it in and let it do the same thing all night" fixtures. We use the latest in DMX controller technology with state of the art fixtures to add excitement to your dance floor. The light show can be as subtle or as exciting as you want it. 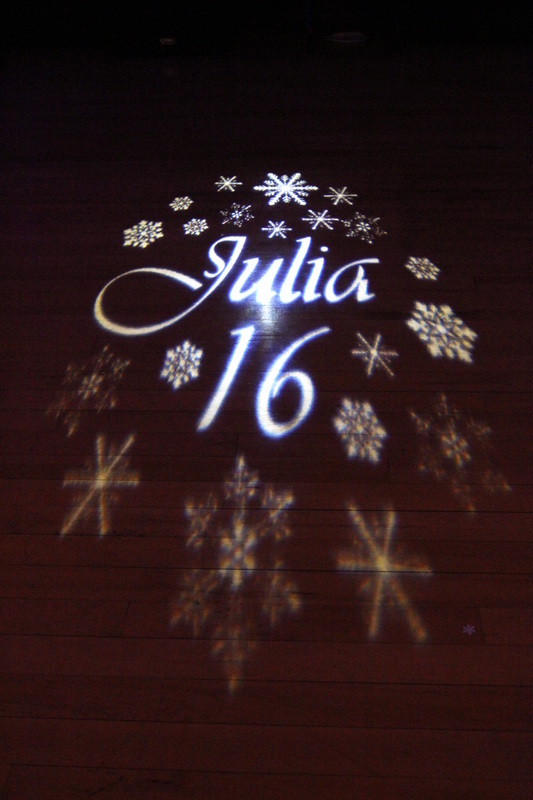 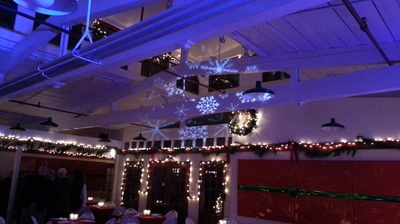 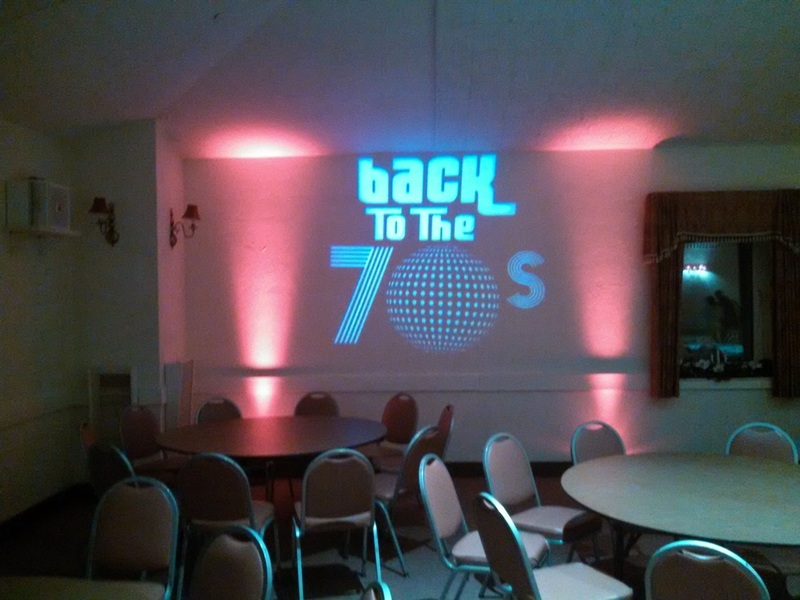 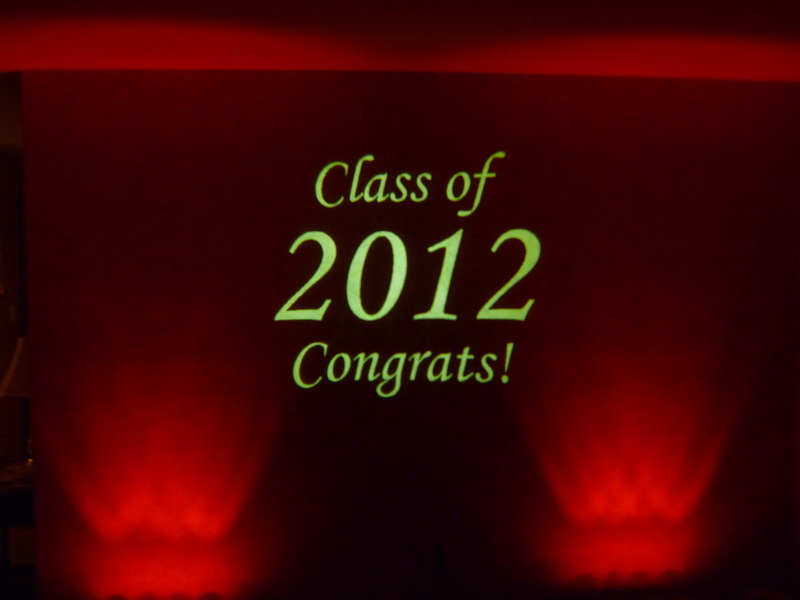 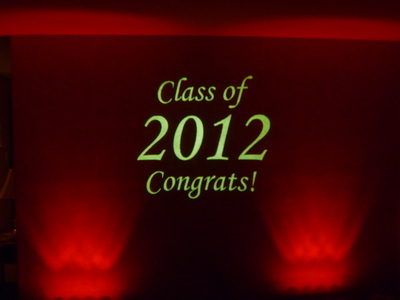 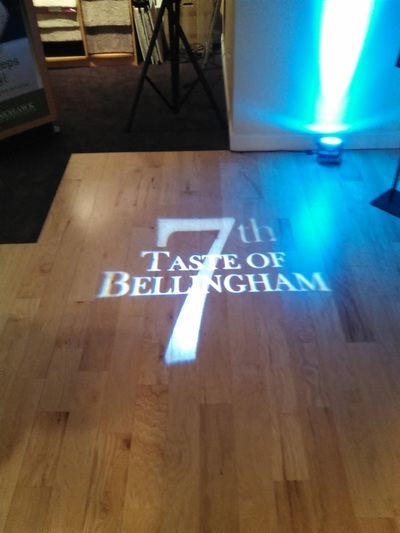 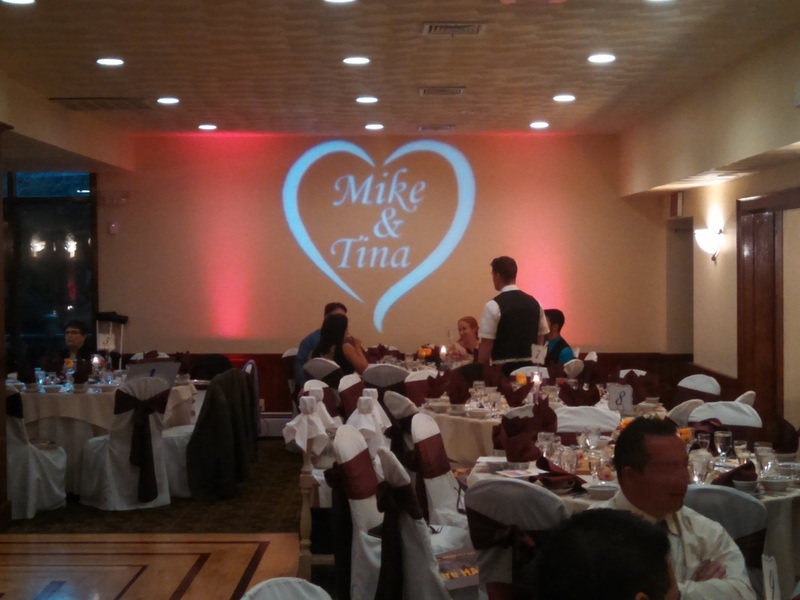 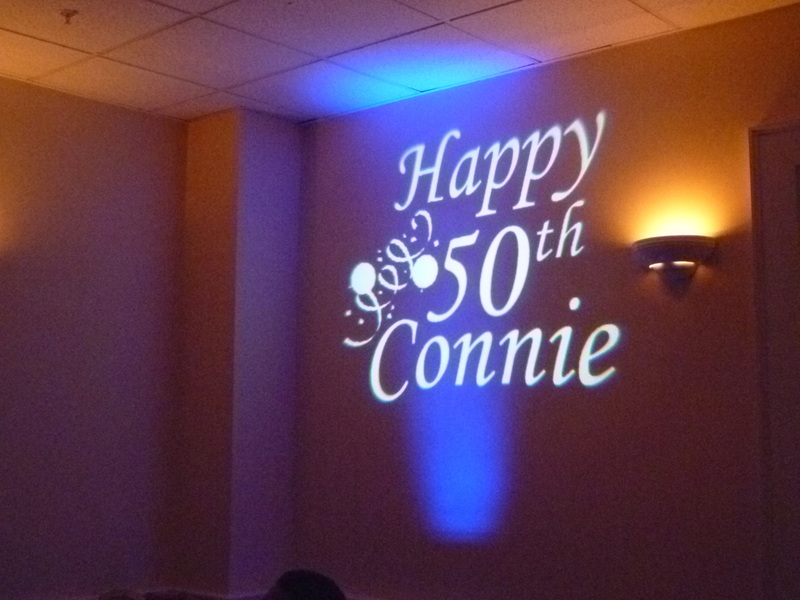 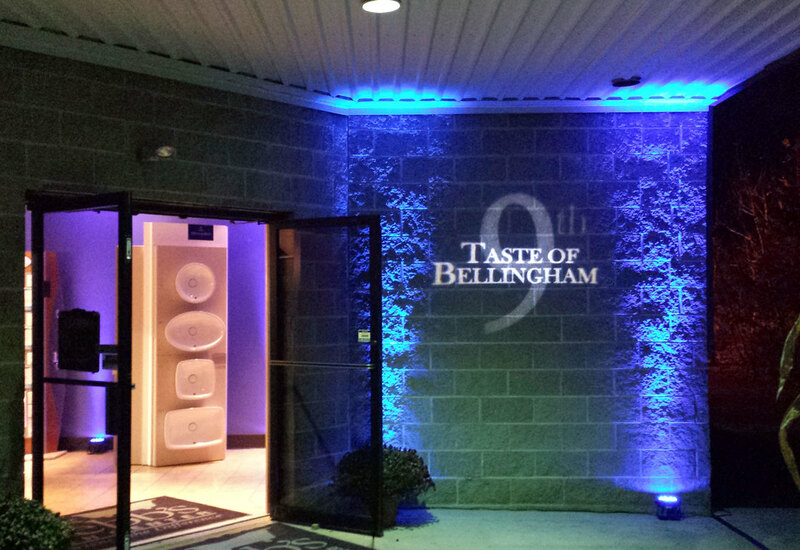 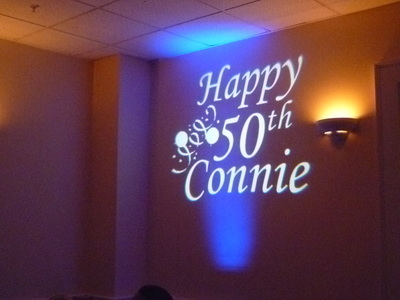 Custom Projections - or "GOBO". 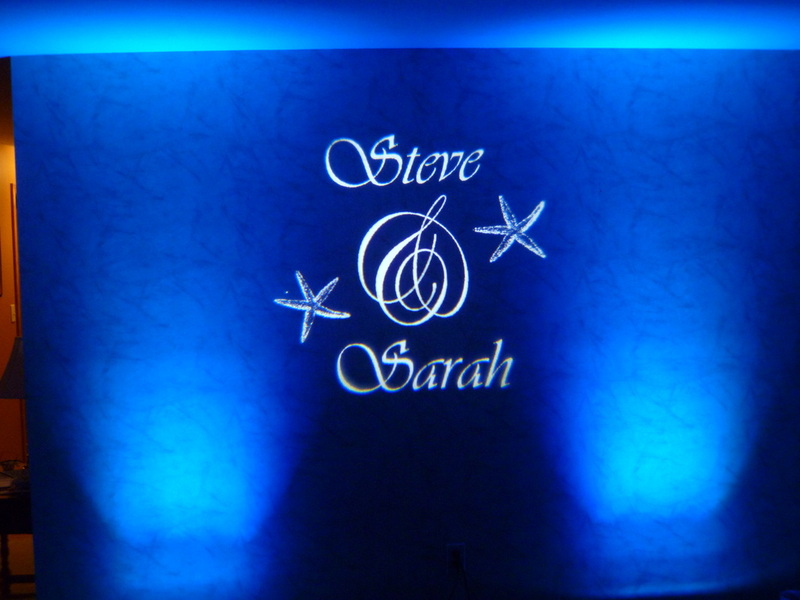 We can create several custom designs for you to choose from with your names, initials, date and other artwork to suit your vision. Not just for brides and grooms anymore! We can project artwork to mach the theme of your party or the guest of honors name for a birthday party or anniversary. 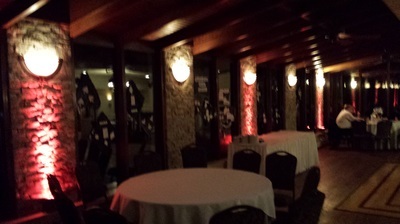 Is this for a corporate event? 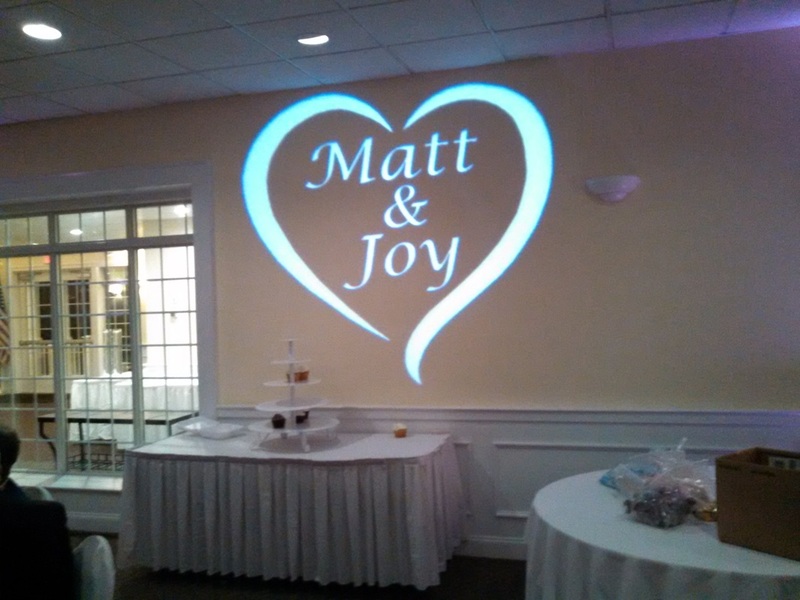 We can project your logo or brand as well! 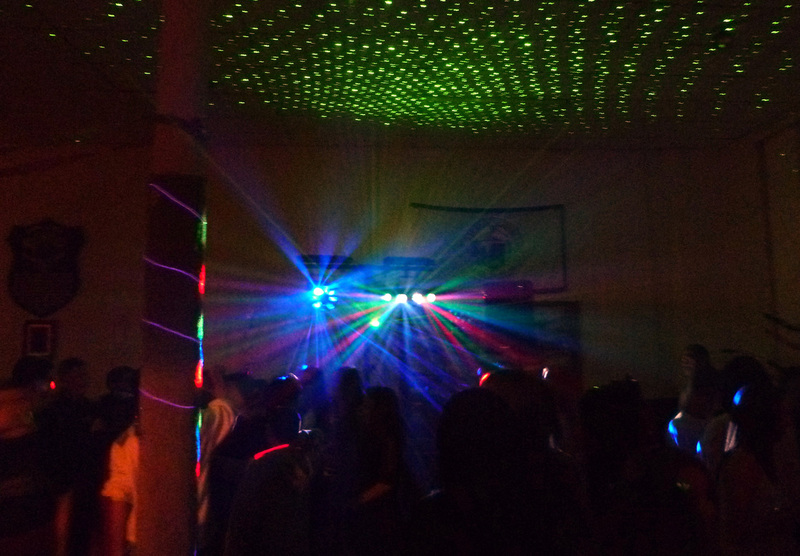 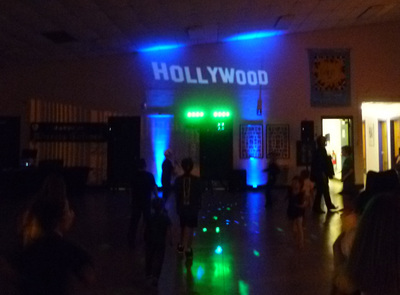 UV Black Lights - We also offer high output UV black lights for glow theme parties! 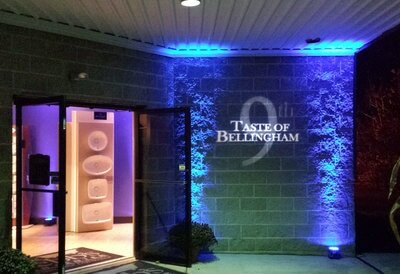 Just like our other lighting these power saving fixtures are LED technology so they can run all night without getting hot. 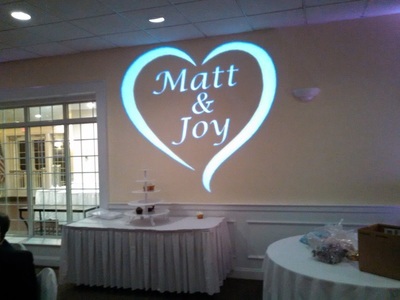 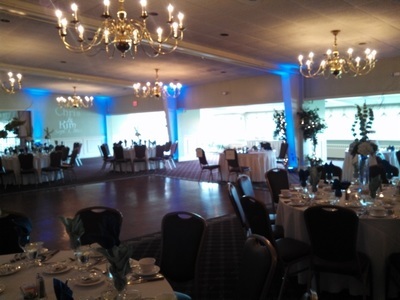 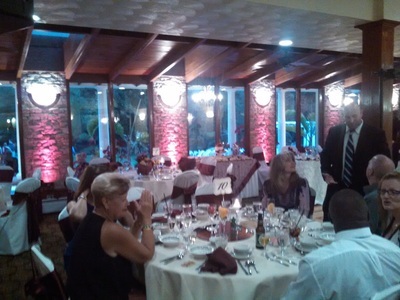 Atmospheric effects - Fog and haze also available, be sure to check with your venue first.